Named after the Ötzal Alps where he was discovered, Ötzi, the oldest known European mummy was just 45 when he died around 3,300 BCE. 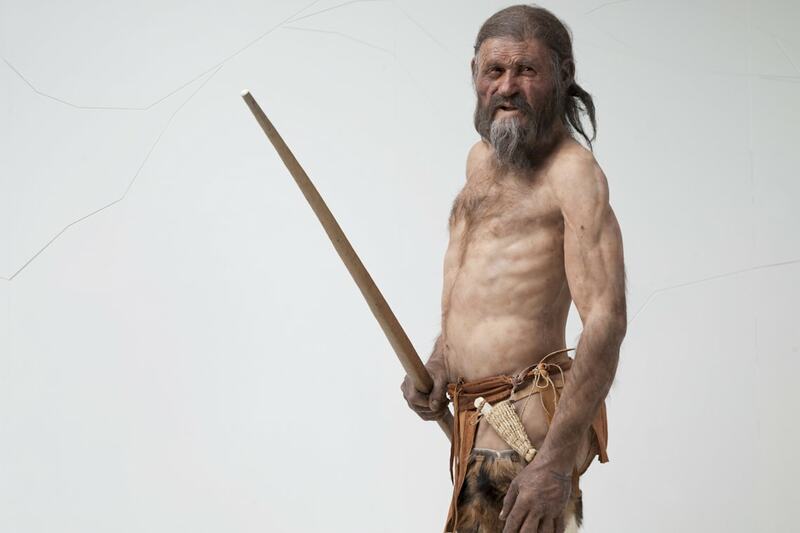 Mitochondrial DNA analysis has shown that the bacteria responsible for Lyme disease resided deep in Ötzi’s bones. Though he didn’t die from complications of the disease, work from a team of scientists at the University of Toronto’s Faculty of Dentistry now suggests that the 5,000-year-old man might have suffered from bone loss as a result of his infection. The ancient man’s infection was enough of a clue for a team of scientists from U of T to set out to hunt for the mysterious Borrelia burgdorferi bacteria that cause Lyme disease in modern subjects. While scientists have long established a link between advanced Lyme disease and the development of osteoarthritis, until now no one has systematically studied the effects of this disease on bones. “Bone pain has been reported since Lyme disease has been studied, but it’s not something that has been investigated,” said Tara Moriarty, assistant professor at the Faculty of Dentistry and senior author of the study, which was published last month in the journal Infection and Immunity. The bacteria were not only detectable in the bones of mice, they were seen to cause significant bone loss in the longer bones, mere weeks after infection. In fact, the bone loss developed at a rapid rate, taking just four weeks to advance to osteopenia, a forerunner to the more severe form of bone loss disease, osteoporosis. The study found that the amount of bone loss directly correlated to the bacterial load found in the bones. The more bacteria present, the greater the rate of bone loss. The findings suggest that monitoring bone loss in human Lyme disease patients may be warranted, especially because bone loss is a significant risk factor for fractures later in life. At the same time, the study raises new questions about the mysterious disease and its debilitating effects. “One of our main focuses right now is on the mechanism that induces the bone loss,” said Tian Cornelia Tang, first author of the study who recently graduated with a master's from the Faculty of Dentistry. Cellular studies are currently underway to determine just how the bacteria interact with the bone building cells of the body, osteoblasts, with the hope of finding new drug targets to combat not just the bacteria, but the newly discovered associated bone loss. “We need to know how long the osteopenia lasts after bacterial infection, and whether it progresses to osteoporosis,” added Moriarty. Although the fate of the ancient Ötzi may be fixed forever in time, his infection could soon help thousands of people infected each year avoid the devastating complications of Lyme disease.